The Garra/ Roger Gracie Kids Hoodie is our latest Club Hoodie. It is a fleece lined Cotton and Polyester blend Jacket with a drawstring hood. It combines both the Garra Club and the Roger Gracie Logos. 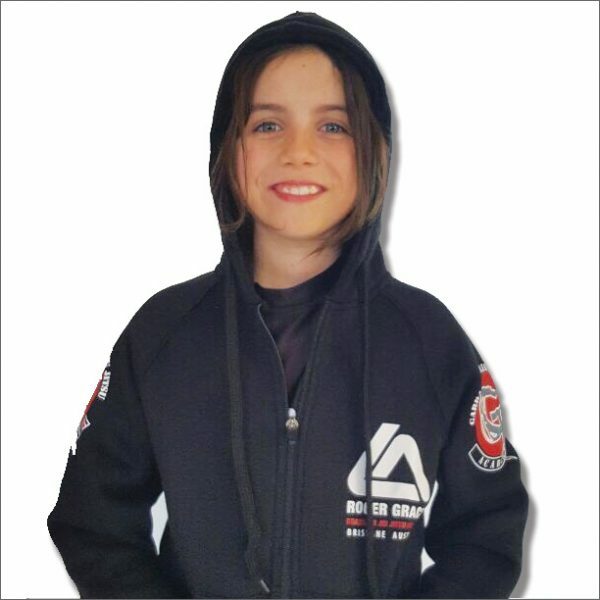 The Garra/ Roger Gracie Kids Hoodie is our latest Club Hoodie. It is a fleece lined Cotton and Polyester blend Jacket with a drawstring hood. 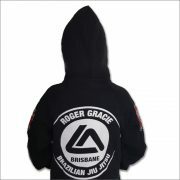 It combines both the Garra Club and the Roger Gracie logos. The Hoodie is made with a zipper front, two side pockets, and ribbing at cuffs and hem. It is perfect for a cooler days and will keep you warm for winter.